ast month I wrote a comprehensive article of my writing workflow. One of the steps during the editing of my piece before publishing is checking it for grammar and spelling errors. I have been using the free version of Grammarly for quite some time, and I’ve found it very helpful, correcting the articles on the fly. Due to that post, I’m now entitled to use Grammarly’s Premium service for free in February! Let me show how you can too if you are writing online or have a blog. Grammarly has its own affiliate program, which you can join via ShareASale or CommissionJuction websites. They are both advertising and marketing companies, specializing in affiliate and tracking services. 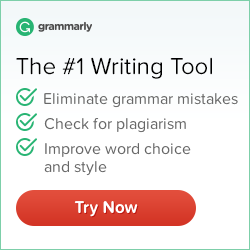 Anyhow, you can become a Grammarly affiliate in no time. By doing so, you have a chance of receiving $25 in your affiliate account right from the start! It only takes a review of Grammarly, or a post like mine, where you briefly discuss Grammarly service. Grammarly calls it ‘Activation Bonus’. ver the last month, many of you have taken advantage of our activation bonus offer and were credited with a $25 bonus. Thank you so much for taking the time to place our banners and links! For all you laggards out there (you know who you are! ), we are extending the opportunity to receive the $25 activation bonus for another week. So, let this serve as a reminder to place our link or banner on your site and earn a quick buck! So, I went on and replied, citing my article where I had already included my Grammarly recommendation. Soon enough, Galyna from Grammarly had added my $25 activation bonus in my affiliate account! We provide our affiliates who write a review with 1 month of a free Premium service. I took this offer in an instant! I can now check out all 10 writing mistakes I’ve originally made in this very article! Although I have now added more work in my blogging routine, I can now improve my writing even more via Grammarly premium service. Given I have already found quite useful their free offering, I’m curious to discover the benefits of the premium tools. Yes, I am required to write a detailed review when the premium access ends, but that shouldn’t be hard. I already use Grammarly extensively in my daily schedule. It’s not that I have to allocate more time to test their full product. Besides, I already planned to sign up for a Premium account. It’s just that I was waiting for a hefty discount, as previously they have offered discounts as low as 60%! That brings the yearly cost down from $139.95 to about $60 for the premium access. Create a free account at Grammarly. Test it for proofreading and eliminating most of your writing mistakes. 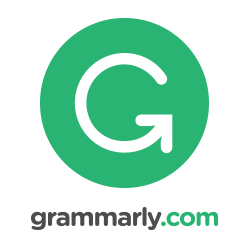 Sign up as a Grammarly affiliate for free. Add a link/banner to a post of yours or write a new one. It doesn’t have to be about Grammarly, but it has to be writing-related. Contact Grammarly to receive your free $25 activation bonus! That shouldn’t take you more than one hour of paperwork and you’ll make $25. Contact Grammarly again, to let them know you are willing to write a review of their service. Get a month free of Premium access to Grammarly. Write your personal review on Grammarly a month later. If you decide to sign up, wait for a discount. You can get a 12-month premium access for less than $60. Remember that you’ve already made $25 when you signed up as an affiliate! Finally, if your review is positive and convinces two of your readers to sign up for the Premium plan, you get $20 for each! You effectively have got free Grammarly premium access for a whole year. That not bad for online writers, is it? Why You Should Bet on Real v Schalke after Pinnacle’s Tweet! ← Why You Should Bet on Real v Schalke after Pinnacle’s Tweet!